Achieving acclaimed success with 90's Riddim, Savali Riddim, Herbal Dance Riddim, Kabaka Pyramid "This Must Be Love" featured on his debut EP and Chronixx award winning hit single "Odd Ras" featured on Rockstar Games "Grand Theft Auto V", the award winning team of chart topping Billboard Engineer, Musician, Producer and Song Writer Gary ''Shanguly'' Samuels and Michael "MadVibez" Thompson have delivered yet another musical gift with "Hot Steel Riddim". Priding themselves on preserving the true essence of dancehall, Digital Vibez Entertainment productions can be best described as a modernized old school sound. 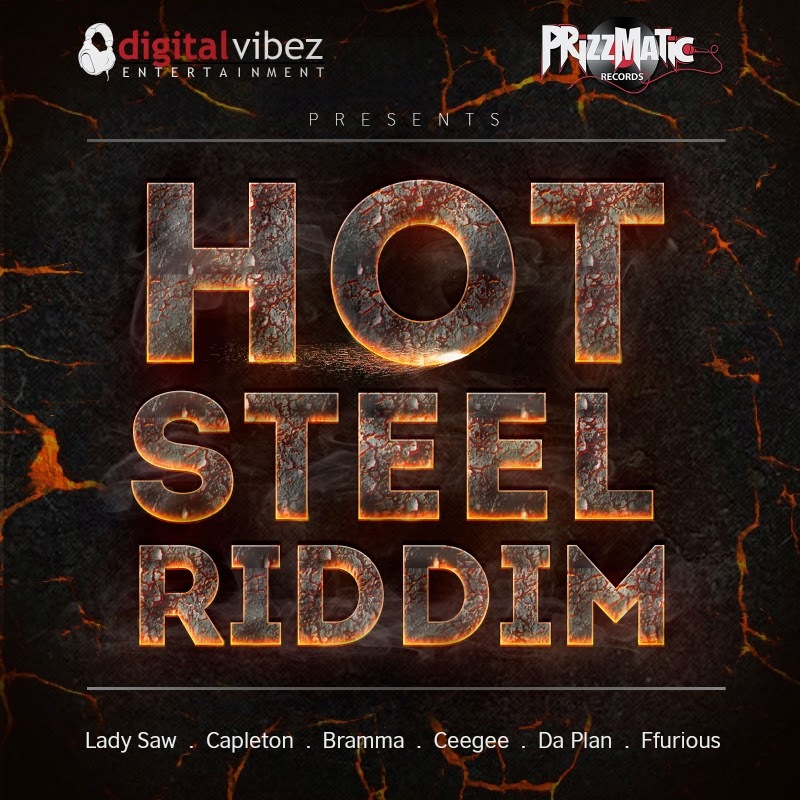 Their latest "Hot Steel Riddim" demonstrates those endeavors as Grammy Award and certified triple-platinum Lady Saw "Scamma", multi-award winner Capleton "Stay Suh", Bramma "Fashion Police", up and coming artist from Capleton's David House crew Ffurious with "Out A Me Life", rising star Da'Plan "Waste A Time" and CeeGee "Gweh" displays their vocals on this explosive dancehall riddim. "Hot Steel Riddim" will officially premiere worldwide this upcoming week on Hitz 92FM in Jamaica, Vibes 106.1 FM in Gambia, Flames Radio UK, Tropixx 105.5 FM in ST Maarten, XFM 95.1 in Ghana, Africa, in the U.S on Ninja Crown (Mighty Crown) "International Roll Out" on IrishandChin.com and "Loaded Thursdays" Randys Radio and Energy Radio . "Im a big fan of the 90's dancehall sound and its been our most successful period to date, So i was looking for a beat that the snare plays a main role along with bass rumble accents on every four bars, Henceforth the Hot Steel Riddim was born, This project is a mix of Dancehall Legends and future stars charged with carrying on the dancehall legacy" - Gary ''Shanguly'' Samuels.